Mildred Marie Perry, 88, of Nevada, passed away on Friday, March 15, 2019, at Nevada Regional Medical Center following a brief illness. Mildred was born on May 9, 1930, in Dighton, Kan., to Richard C. and Adeila Attebury Johnson. 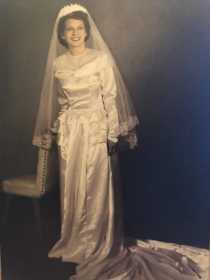 She married Billy J. Perry on May 21, 1950, in Nevada, and he survives of the home. Mildred moved to Nevada with her family at a young age. Mildred and her husband Bill and her brother, Bill Johnson, operated Bills’ Paints in Nevada for a number of years. She later worked at Gammon Glass in Nevada for several years until her retirement. Mildred enjoyed reading books and loved her family greatly and especially enjoyed being with her children and grandchildren. She also loved sports and enjoyed watching Bill play baseball in their younger years and traveling together. Survivors include her husband, Bill; two sons, Michael Perry and his wife MaryEllen, Ft. Collins, Colo., and David Perry and his wife ,Shannon, El Dorado Springs, Mo. ; four grandchildren, Joshua Perry, Raechel Laughlin, Caleb Perry and Michael Perry; four great-grandchildren, Parker Laughlin, Ellie Laughlin, Jensyn Perry and Ledger Perry; and several nieces and nephews. She was preceded in death by her parents; three brothers, Richard Johnson, Don Johnson, and Bill Johnson; and one sister, Mary Johnson. Graveside services were held at 10 a.m., Monday, March 18, at Newton Burial Park, Nevada. Funeral arrangements are under the direction of Ferry Funeral Home, Nevada. Contributions may be made in Mildred’s memory to Wounded Warriors in care of Ferry Funeral Home.